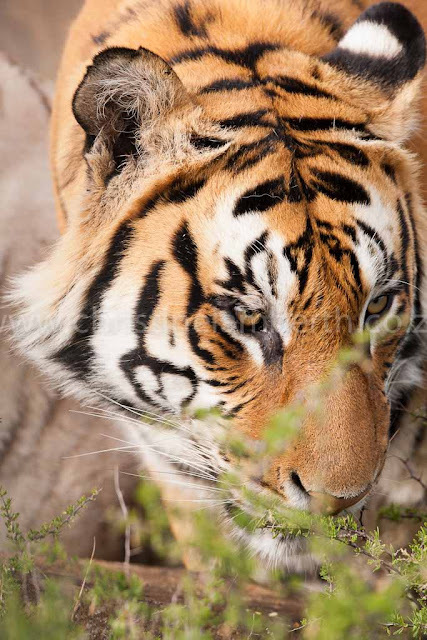 TIGER CANYONS - AN AMBUSH OF TIGERS? Here's the shocker. According to WWF the world has lost 97% of its Tigers in the last 100 years. A great endorsement to the human race that will constantly declare its superiority over anything else out there. Well Done Chaps!! If you try just a little harder then that figure could read 100% in 100 years. 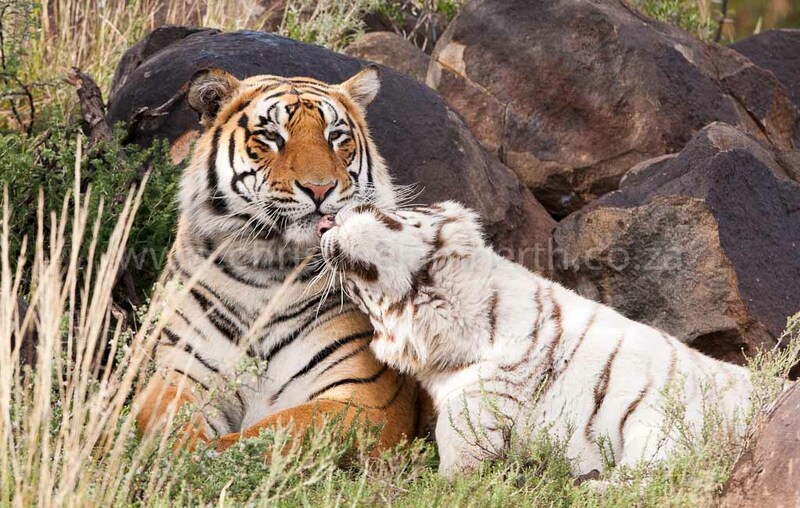 Research reveals that there are less than 1400 wild Tigers in India with less than 3500 world wide. Tigers disappeared from Bali in the 1940's. In Central Asia they disappeared in the 1970's. Java said goodbye to their last Tiger in the 1980's and in the 1990's South China followed suit. The other side of the coin, or should we say cages, is that there are between 15 000 and 20 000 Tigers in captivity world wide. I am galvanized into action by the realization that time is running out for me to see a Tiger in the wild. 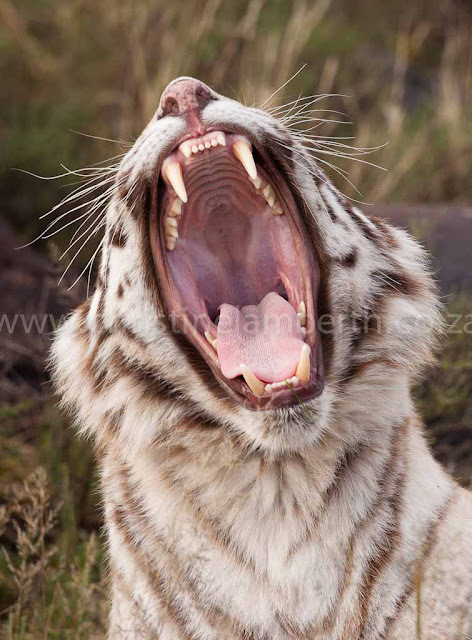 A chance encounter at Chief's Island in Botswana introduces me to the world of Tiger Canyons. 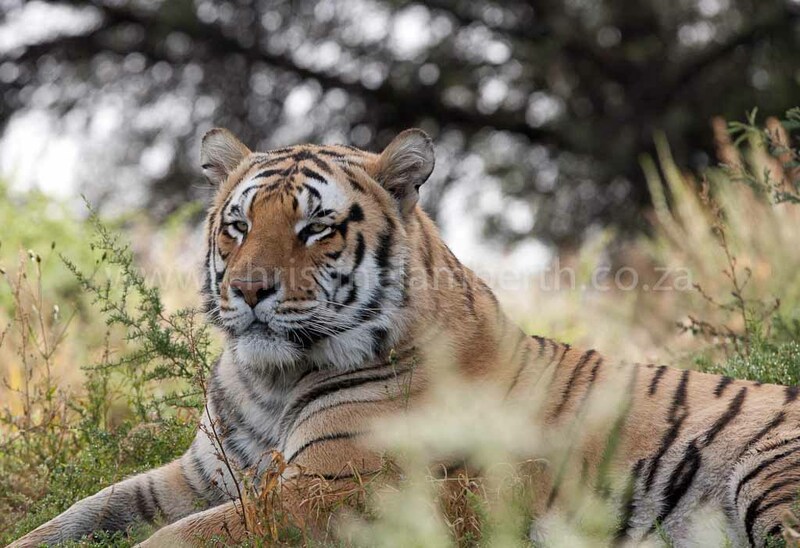 I have to admit that buried somewhere in the recesses of my woolly brain I scrape around and remember newspaper headlines about a Chinese woman and John Varty coming to blows about some Tigers now resident in the Free State. The not-too-difficult search on the ever powerful internet provides the information and whala, the booking is made. Then disaster strikes. John Varty, as most wildlife enthusiasts know, is attacked by one of his Tigers one week before my impending visit. For a while there I wasn't sure this was actually going to happen. But, as time marches on, the dates are reset, and after the Easter weekend the car is headed South towards the Free State. Tiger Canyons lies on the cusp of the Karoo and essentially can be considered part of the Greater Karoo. Almost as if by magic when one leaves the hilly area around Bloemfontein its as though someone has taken a spatula and neatly flattened the earth with a wide sweeping motion allowing a couple of rocky outcrops to survive. The golden grass plains gradually turn to scrubland while the horizon flattens out for miles and miles. There is a tangible quality to the air in the Karoo that is difficult to describe. I find the best way to savour this experience is to drive off the main road, stop the car, get out and simply listen. It is as if you can feel, smell and hear the endlessness of the space. The drive out of Phillipolis west towards Tiger Canyons does not disappoint, but if one is expecting a showpiece at Tiger Canyons then you're in for a disappointment. Here, it's all about the Tigers. And they do not disappoint. A Tiger must be the most beautiful animal out there. Within minutes of arriving we have our first encounter with a Tiger. There were once 100 000 Black Rhinos in Africa, now there are approximately 2700. In 1930 there were 5 – 10 million African Elephants and now we have less than 600 000. 100 years ago African Wild Dog packs numbered up to 100 per pack seen on the Serengeti Plains. Now a pack is usually 10 dogs and we have about 1 500 dogs left in Africa. The African Lion numbered 50 000 roaming free only about a decade ago. Now we have around 10 000. In 1900 there were 100 000 wild cheetah in Africa, now the number is closer to 10 000. Please note that the above statistics are unverified and should be taken as being approximate. Have you got out of your seat yet? These statistics put a few things into perspective. Firstly, to see any animal roaming free is a miracle in itself and then we should all be shaking in our boots. At current world population growth our grandchildren may not have this same privilege. In the light of this, each time I venture into the African bush, I count my blessings and know that every minute spent there is indeed special. The bucket list is long and Africa is a big continent, but before I die I will try to have visited every available corner to see and experience its incredible diversity. This is my motivation to visit the East Coast of kwaZulu-Natal and Phinda Game Reserve where there are some special inhabitants of Africa. The Cheetah is the smaller of the Big Cats of Africa, but it stands out head and shoulders above the others in various ways. In fact, the Cheetah could be referred to as the Formula 1 driver of the animal kingdom. Speed is its ultimate weapon. 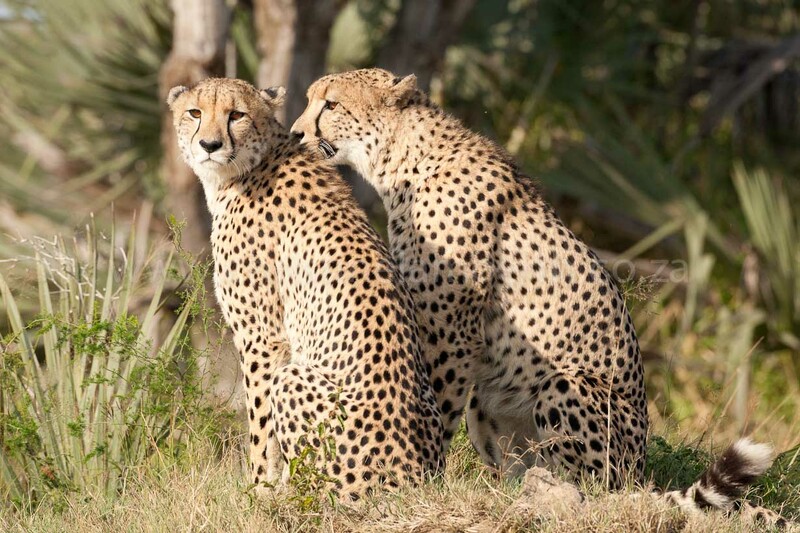 Cheetahs are reputed to be able to accelerate up to speeds of over 100km/h. I have also been witness to a single Cheetah female raising six cubs, singlehanded, to the age of one before they each made their way into the adult world. 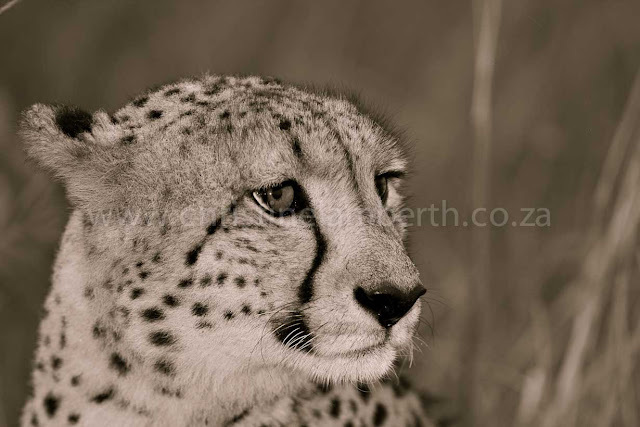 Therefore, if any opportunity presents itself to see a Cheetah will find me there! Phinda Game Reserve is one such place. 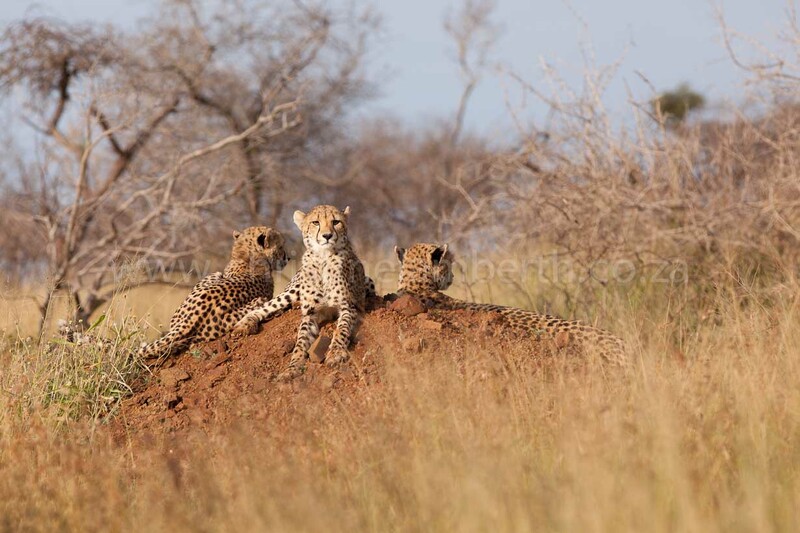 Here Cheetah can be found and observed and photographed with relative ease. It is, therefore, with great anticipation that we head out onto the Marsh area of the Phinda Reserve to find some Cheetahs. Our first find is a male coalition. They are on the move looking lean and hungry. We patiently shadow them. It soon becomes obvious that one of the two is injured. His front right leg has a growth on it and he limps badly. But, he is as fat as the other. 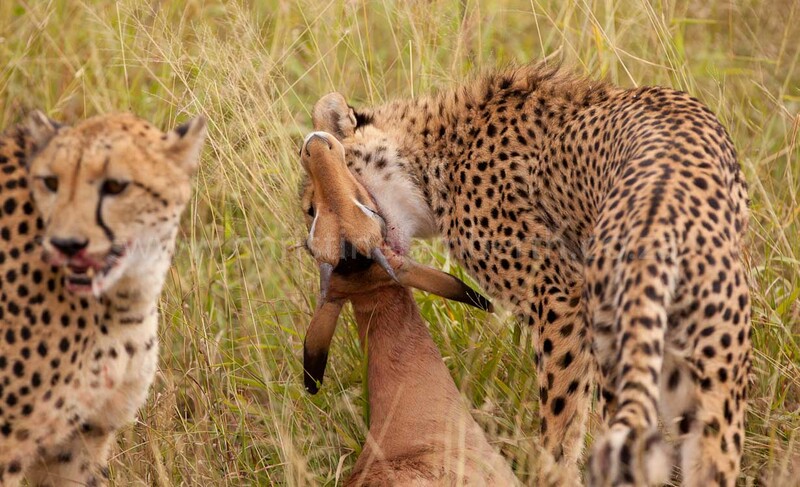 Another special aspect of a Cheetah, they will look after each other if they need to. 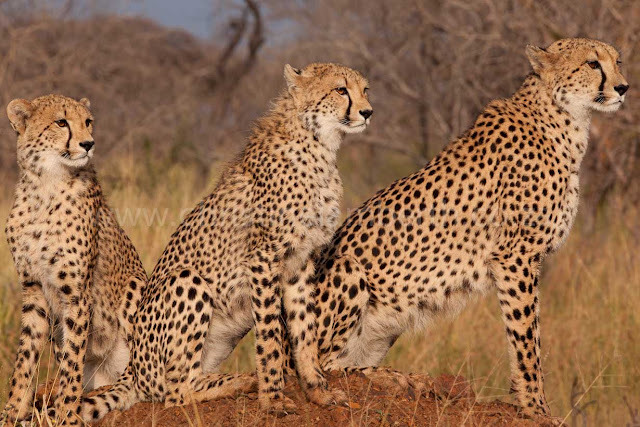 As the injured Cheetah limps and lags behind, the stronger of the two boys is scouring the landscape for an opportunity. In the distance, ensconsed in the long grass, is a herd of Wildebeest grazing contentedly. Inamongst the herd is a young Wildebeest and the Cheetah locks him in his gaze. He silently moves forward, crouched down so that the Wildebeest will not see him and then he disappears in the long grass. Suddenly the Wildebeest scatter and the Cheetah is inamongst them. 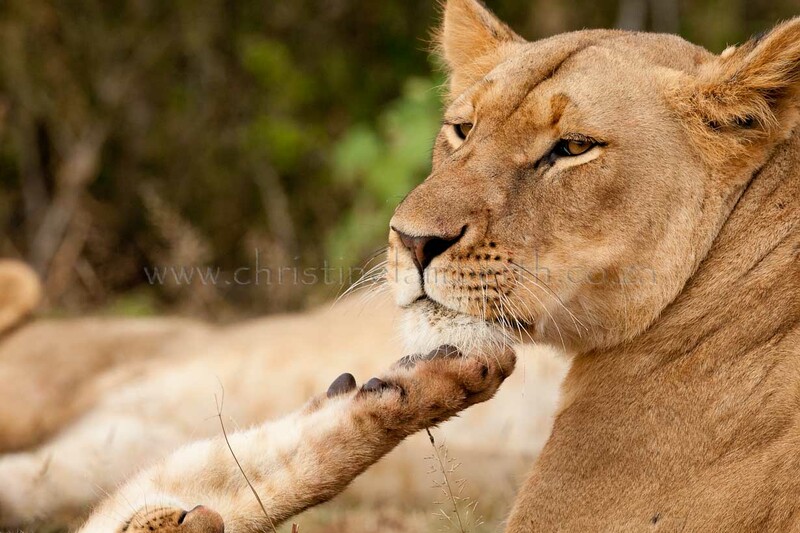 However, he has broken cover too soon and the mother Wildebeest locks the Cheetah in her gaze and sets off after him. The hunter is now the hunted. Exhausted, the two boys head off to rest and we head off to look for the Black Rhino. Later that day the Cheetah are successful at their hunt, but sadly we did not see them. We only came across the two of them enjoying the spoils of their labour. 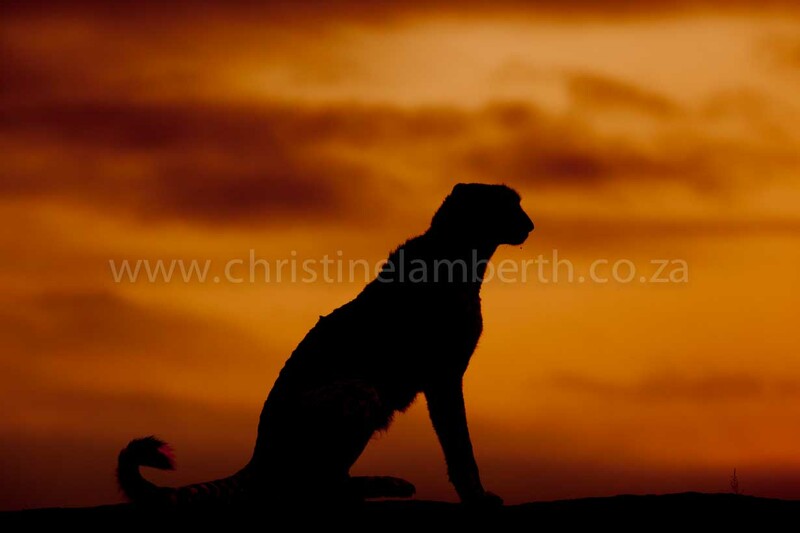 Our next encounter with Cheetah at Phinda comes after an early morning start heading off to the South of the reserve. Some scouting and tracking brings us to a mother with two cubs. They are also on the move looking decidedly hungry. We take up our position, keeping back a little and allowing them the room to find their prey. 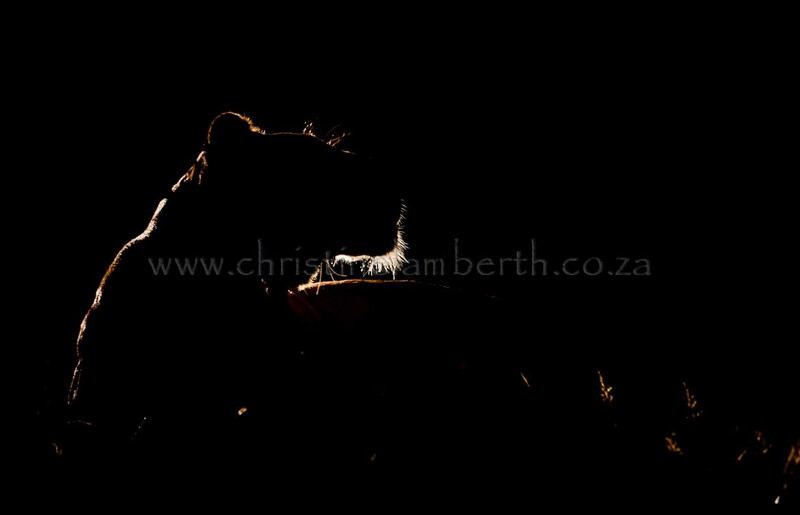 This time it takes a little longer and while “Fanie die Veldwagter” and his many assistants speculate on position, time, place etc the mother Cheetah makes her own plans. 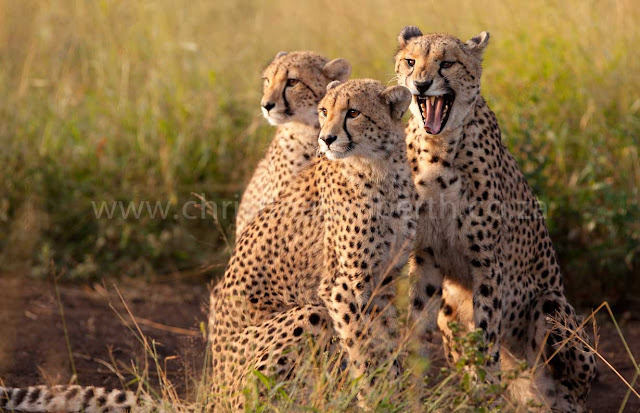 The crew on the vehicle notices that the Cheetah is moving towards a herd of Impala that is upwind. 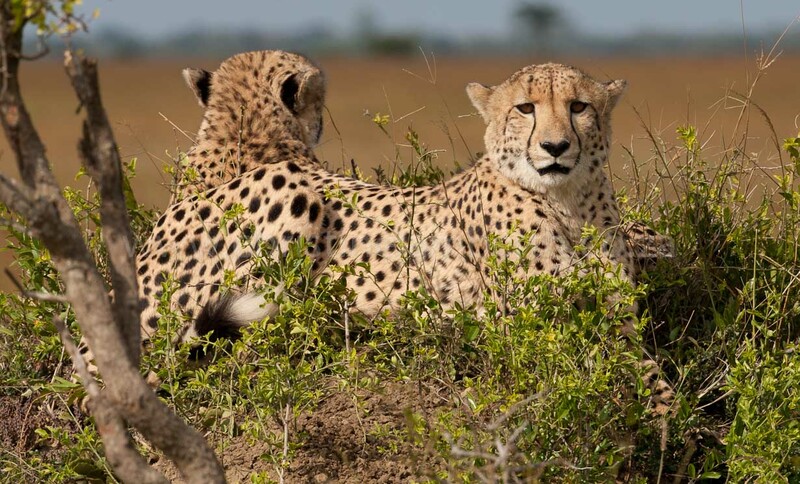 In the long grass we can only see the tail and tips of the ears of the Cheetah. After much speculation we move the vehicle to a higher location with a view of the Impala herd. We wait. While we wait we lose sight of the Cheetah group and the impatient amongst us start voicing doubts as to whether anything will happen. And then, as on the previous day with the male coalition, the Impala herd suddenly scatters and we realise that the Cheetah has moved right past our vehicle, unseen, and she gives chase. She has selected a larger Impala and as she chases it, it becomes obvious that no kill is going to happen here today as the Impala leaps beyond her reach. Suddenly, she veers off to the right and locks onto a smaller Impala and in a flash she has taken it down. She quickly drags the small fawn down the hill again and we are witness to still more of Africa’s unique moments. She is teaching her cubs to kill. The fawn is still alive and she leaves it for her cubs to kill. Although hard to bear from a humane perspective, this is nature at its ultimate. A mother, teaching her young how to survive. As I write this, the goosebumps still appear and I savour, once more, this African experience that must, at all costs, be preserved for future generations. Phinda – a place to return to. There is no doubt that the African bush has a magical quality that, once it has crept into your soul, never leaves again. Each visit beguiles one more and the yearning to return time after time drives a search for undiscovered places and new experiences. kwaZulu-Natal has only a smattering of destinations to explore and the most desirable of these is Phinda Game Reserve. A destination much vaunted for its Black Rhino, Cheetah and Lions this reserve has to be high on the agenda of the bush junkie. So it is that I find myself heading east towards the Indian Ocean. On our first sortie the familiar feel of the wind whipping through my hair is a welcome one while the discomfort of the bench on the back of the safari vehicle allows me to savour the moment of being back in the bush. 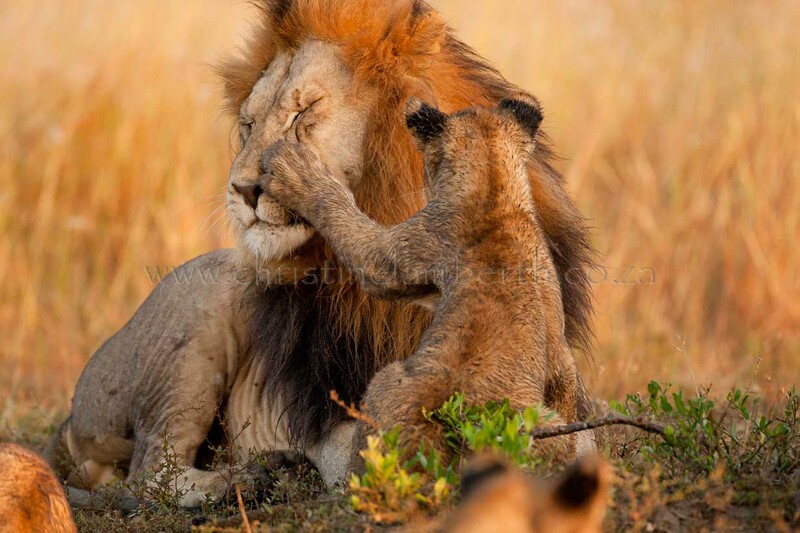 We head for the open plains (referred to as the Marsh Area) to look for a lion pride that has been seen in the area. Without too much searching we find our target. A sizable pride consisting of two dark maned males, three lionesses and eight cubs are lying indolently in a small clearing. 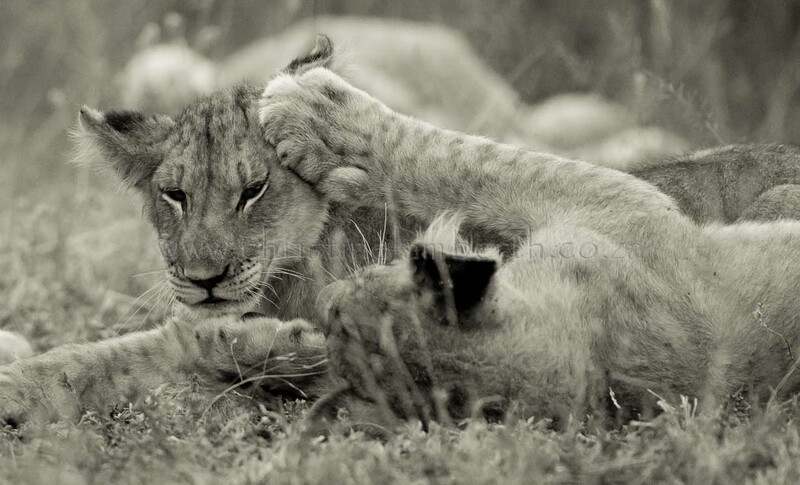 The cubs are about three months old, four from each of two of the lionesses. And as cubs are, they are constantly on the move. They either wrestle with each other or see if they can get one of the adults to play. The staccato of shutters keeps breaking the silence of the afternoon and we stay with the pride until nightfall. Once the sun has set we try our hand at night photography. On the third day of our stay we come across the pride again. During the night they have been on the hunt and the dregs of the feast are lying in the long grass. Each member has a clearly distended mid-section and sleep has overtaken almost all. One little cub is valiantly tackling the stripped ribcage of the Wildebeest gnawing away on his own. We leave them still sleeping off their grand meal. 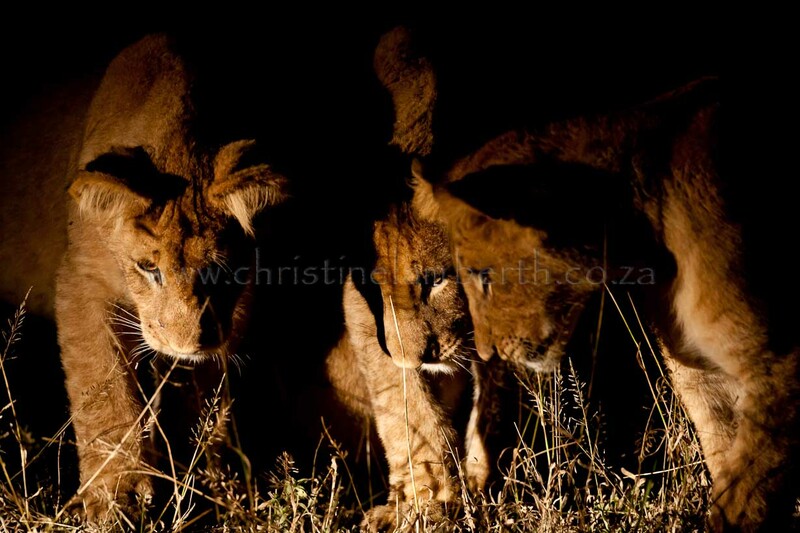 That night the pride is still camped out in the same clearing and we return to try the night photography gig again. The images this time are more successful as we are entertained by huge yawns from the adults and the curiosity of cubs as they play with a hapless grasshopper whose efforts at escape are thwarted at every turn. On the evening of day four of our stay the Lion Pride once again presents itself in the right place at the right time for good photography. 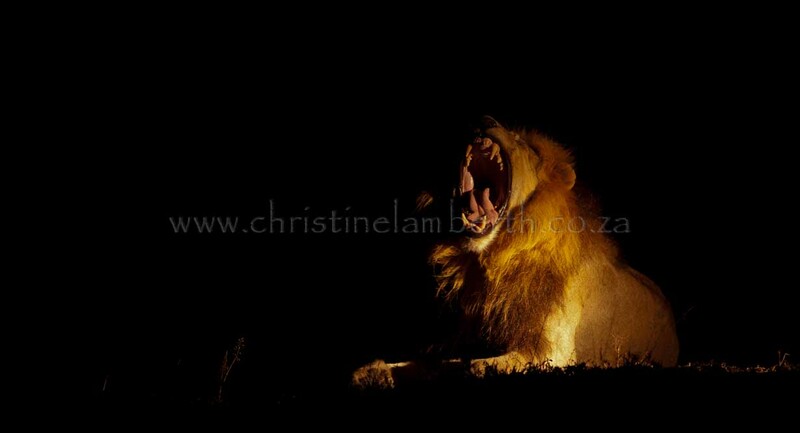 Hardly believing our luck we set up for night shots again and countless times we are able to set the shutters alight as we stare into the throat of the king of the beasts. Day five dawns misty and cold. It is the end of the safari. We head towards the marshes yet again but this time in search of the elusive Black Rhino. 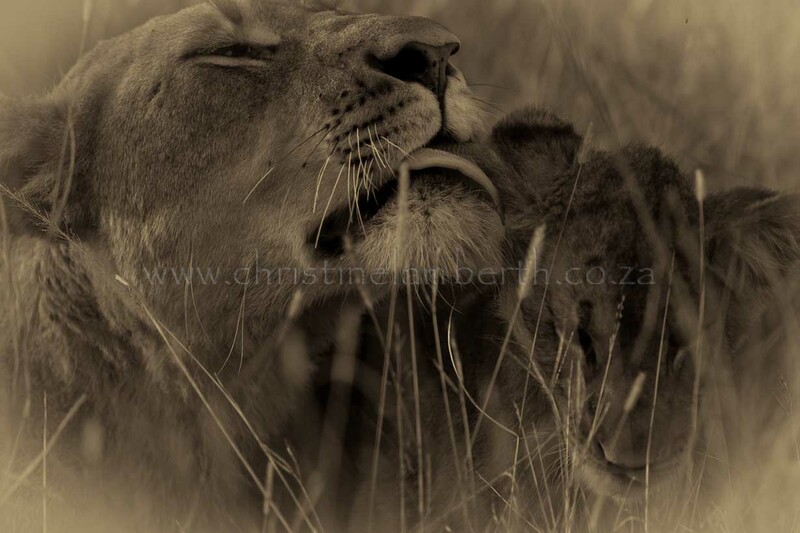 As we head East we unbelievably stumble across the Lion Pride yet again. And again, they are lying in a perfect little clearing making photography a cinch. The light however is challenging but the opportunities countless. 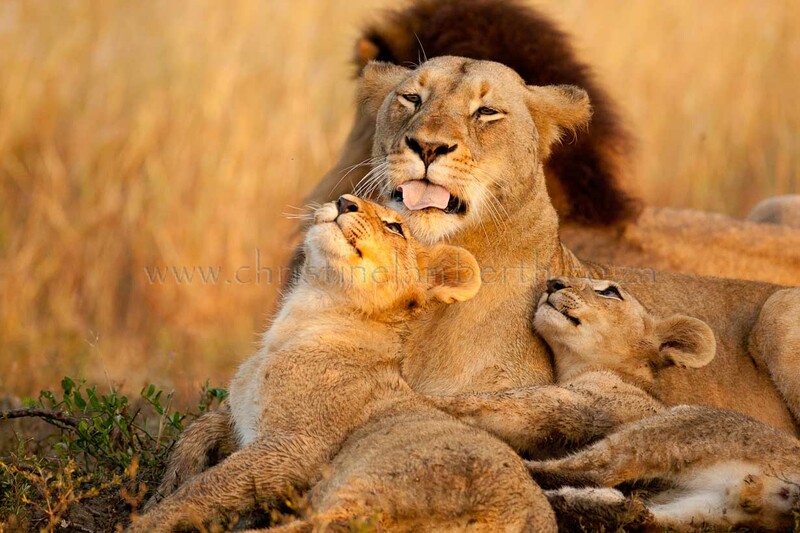 As the sun rises and its rays start gently lighting up the landscape the fur of the lions take on a rich golden hue. Many visits to the bush have presented either the lions at the right time and the light does not appear or the light is there sans the lions. Here, we have both. Photography magic is made. We move around from side to side to get different and better angles. Then, it happens. One of our vehicles gets stuck in the mud only 20 metres away from the Lion Pride. Once before on a trip to Zimbabwe our vehicle broke down in the bush. While all the other guests on the vehicle were supremely bored I spent the most amazing hour and a half photographing a troop of Chacma Baboons that had settled down a few metres from the vehicle. Here was my chance. With a vehicle stuck and everyone concerned about how to extricate it from the clutches of the dark, oozing, sticky earth I kept my camera pointed towards the Lions. However, the unusual activity unsettled the Lions and they moved off. In a rather mercenary move we followed leaving our unfortunate friends to fend for themselves. The morning ended with coffee and rusks next to a small dam. A feeling of deep satisfaction permeated my soul as I took in the perfectly created day. The African bush has once again proved that it can always provide special moments for those seeking them. Phinda is a Zulu word meaning 'the return', which signifies that Phinda Game Reserve in KwaZulu-Natal was the location of one of the biggest reintroductions of game in Africa. The area was restocked with lion, rhinoceros, buffalo, elephant, leopard, giraffe and other big game in Operation Phinda Izilwane, meaning 'return of the wild animals'.